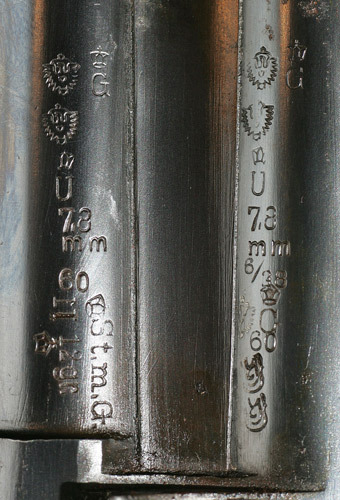 Amongst proof marks are codes enabling one to determine the date of manufacture of many guns. Sample photos of their layouts are at the bottom of the page. Liege, Belgium: A single letter, either Roman or Greek, upper or lower case, underlined or not. For corroboration, cross-reference with the proof house controllers' mark. 1921 - 1941: Letter at top of intersection of crossed swords. Number of dots beneath to indicate inspector. 1950 - 1974: Letter at left of intersection of crossed swords. B at right. Inspector's number underneath. 1975 - 1984: Letter inside upper left of circle. B at upper right. Inspector's number at bottom. 1985 - 1997: Letter at left of intersection of crossed swords. C at right. Inspector's number at bottom. London, England: LP over 2-digit year; beginning in 1973. Chart: Syntax of British proofmarks over time. Gardone, Italy: Month and Year in Roman numerals until 1945. Sans-serif Roman numerals from 1945 until 1975, then a two-letter code surrounded by a small rectangle as per the chart below. Eibar, Spain: Until 1994, a code amongst the proofmarks. 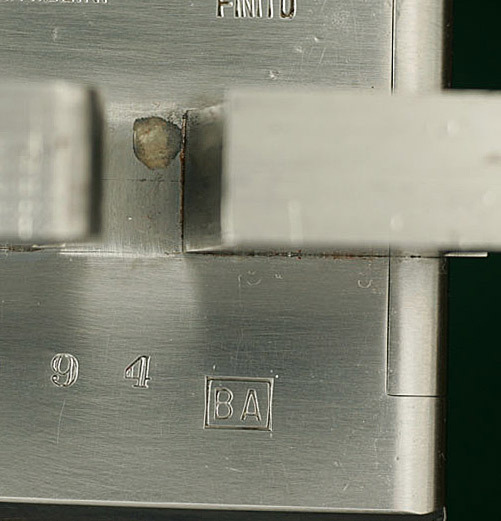 After 1994, the last two digits of the 4-part serial number. Suhl, Germany: Month and year, 3 or 4 numerals as required, with forward slash between month and year from 1921 until 1930s, as: 5/24 for May 1924. Afterwards without slash, as: 1163 for November 1963. Typical Italian proof date code: BA, for 1991. 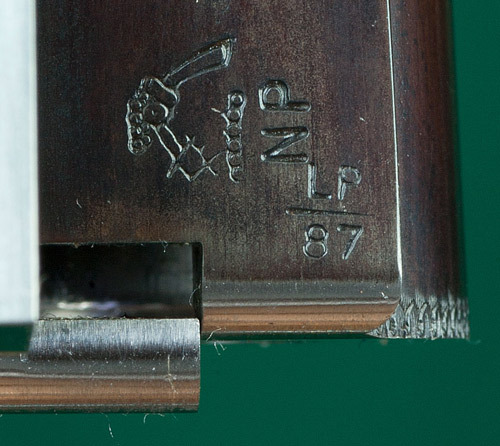 Typical London proof date code: LP/87, for 1987. Typical German proof date code: 6/38, for June 1938.